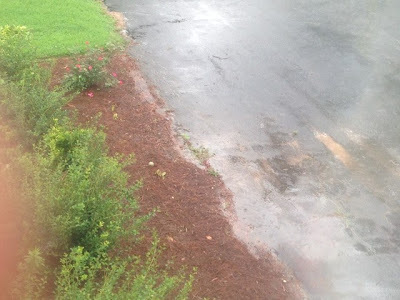 A Bird Hunter's Thoughts: Rainy Day Blues...or not. This is the middle of August. In the South. It's 60 degrees and light drizzle, flash flood watches and light breeze from the south and southwest. The bird dogs are dry and comfortable and are loving this cool air. I wonder, sometimes, if they sense the change of the seasons and what it means for them? Today, I've already worked Cap on retrieving, stroked Mama Ruby and felt for movement of the pups (nothing yet, but 2+weeks to go) and played some with the Ace dog. 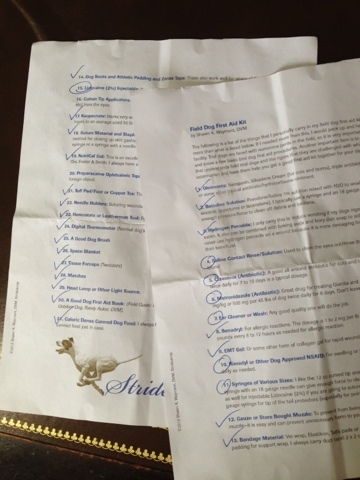 I replaced one of the pads in the Dog Den 2 houses, bought some more Royal Canin puppy starter to put on Ruby's food, and started organizing my dog first aid kit with the handy shopping list +Shawn Wayment, DVM, puts out. 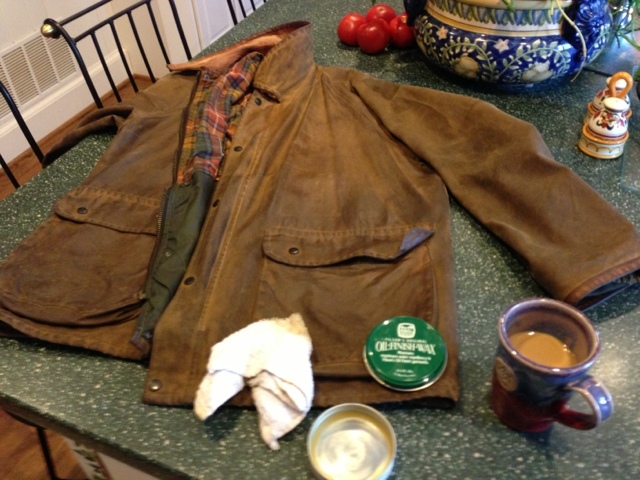 Another annual task is the re-waxing of various Filson garments that I've had and worn for 20 years or more. Shown is my +Filson coat. It's torn and marked and just about perfect. This is the "technical fabric" of its day, and, to my mind, it still has a place in the bird hunter's closet today. No brier can touch it and it is so tough and just, well, classic. Cleaning guns is on the agenda, as well. Ahh, the smell of Hoppe's #9! Nothing quite like it.